Madogiwa is a demon employee of the devil trading company where they lend abilities to humans at high cost. He has two years until he retires and just avoided dismissal because of low productivity. 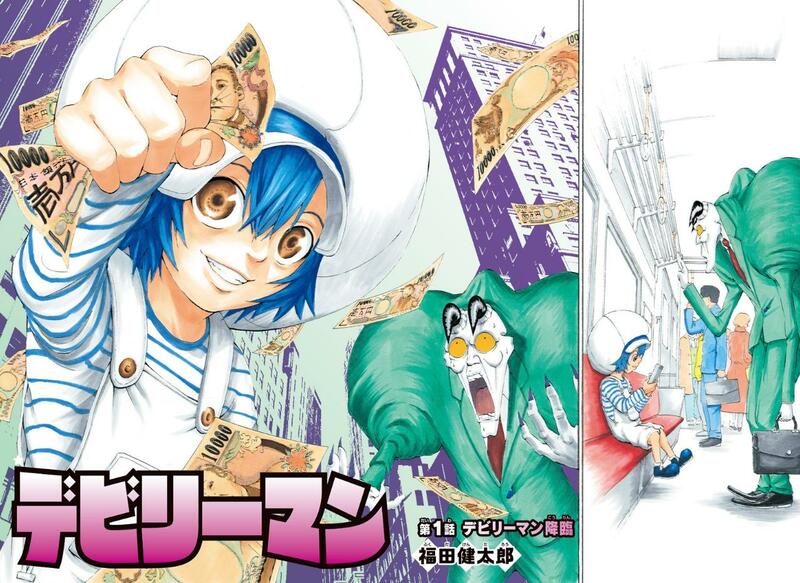 Madogiwa is tasked with making 1 Billion Yen while in a combi with a seven year old demon in the flesh, Yuki. Yuki has the ability to see into the hearts of people. Will Yuki's ability prove useful? Will they make the required 1 Billion Yen? What will happen to these partners? Devily Man began in Weekly Shonen Jump #26, by Kentaro Fukuda.